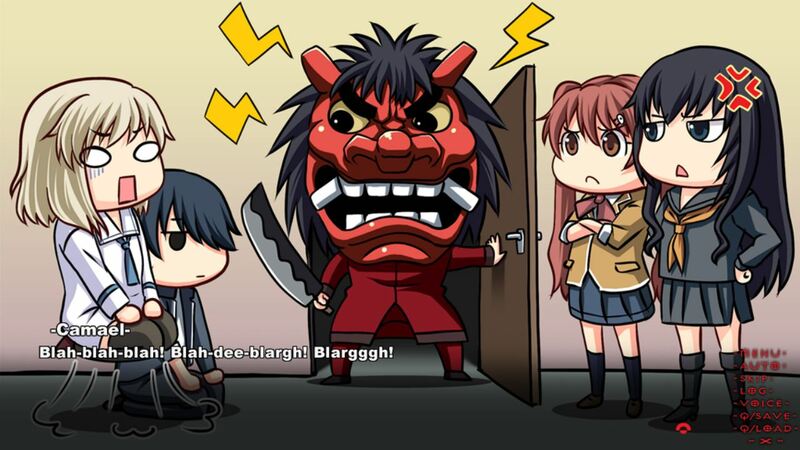 I started playing visual novels when it wasn’t as commonplace as they are now. At the very least, during my early days of visual novels, I didn’t see so many visual novels popping up on Steam. 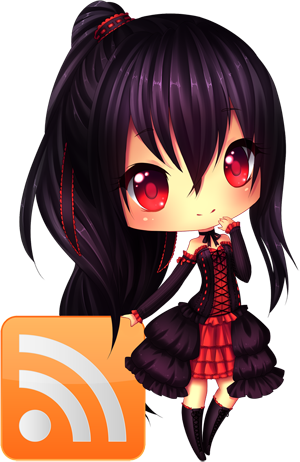 During that time, I saw a lot of untranslated visual novels on VNDB which I really wanted to play. 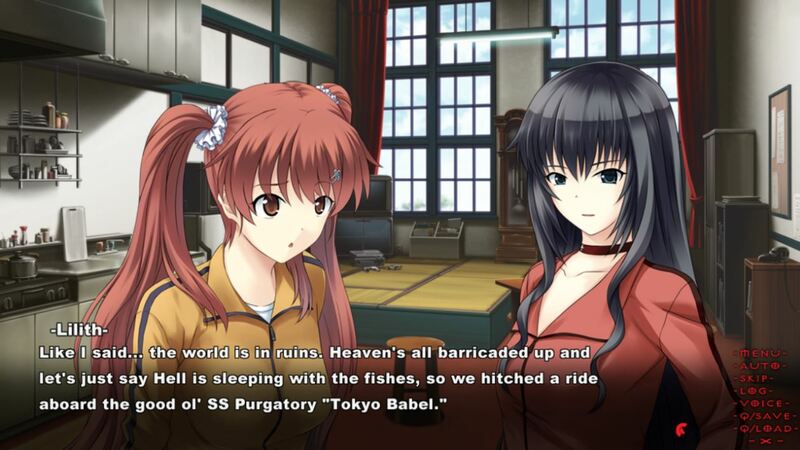 Tokyo Babel, a visual novel by Propeller, was one among the many that I thought I would never get the chance to try. Color me surprised though that it actually got localized recently, but how does it hold up to my expectations? 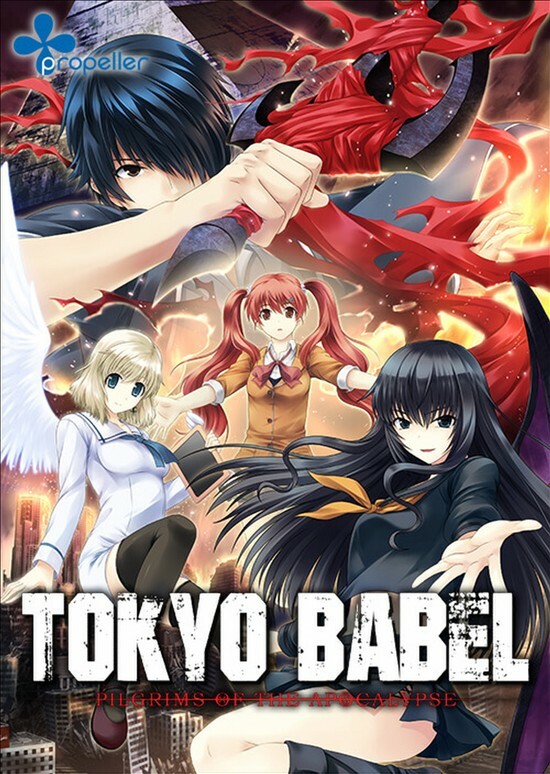 Facing a disaster known as Divine Calamity which literally puts the angels, demons and humans’ realms in jeopardy, the surviving angels and demons gather together in a floating purgatory called “Tokyo Babel”. Enlisting the most capable humans they can find in the countless parallel worlds, their main objective now is to embark on a pilgrimage which will take them through the seven floors of Babel. Standing in their way however, are failed pilgrims of the past who rule over each floors of Babel-their minds consumed by madness. 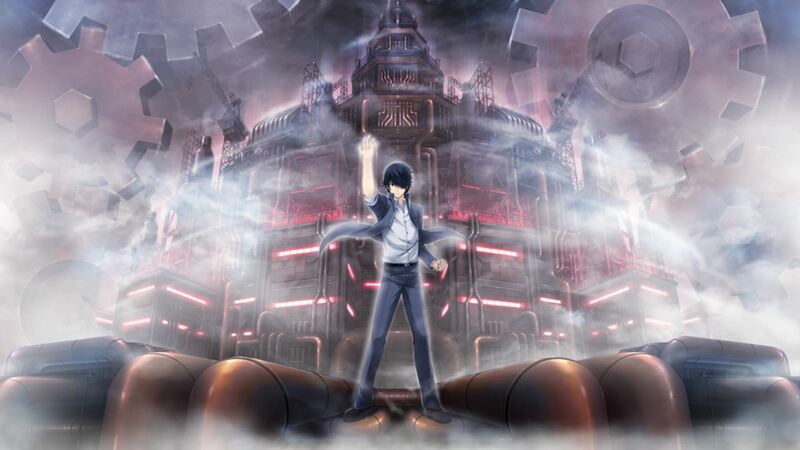 A man hailing from a world befalling catastrophe, Tendou Setsuna, sets his foot in Tokyo Babel and begins a pilgrimage of his own. Camael sums up Tokyo Babel quite well, the less-than-stellar parts of it at least. Tokyo Babel is a chuuni story, but the question is, is it a good chuuni story? I think the biggest problem with Tokyo Babel is consistency. Plot points get introduced, teased and tossed aside like nothing. Comedy and serious moments even if good, don’t transition well, even the expository isn’t handled with much grace. If I were to nitpick, I could name a thousand questions regarding their settings too. I mean, this is a setting revolving around gods, angels and demons, so it would no doubt be ridiculous. Tokyo Babel is one of those stories where suspension of disbelief is certainly required to be entertained. 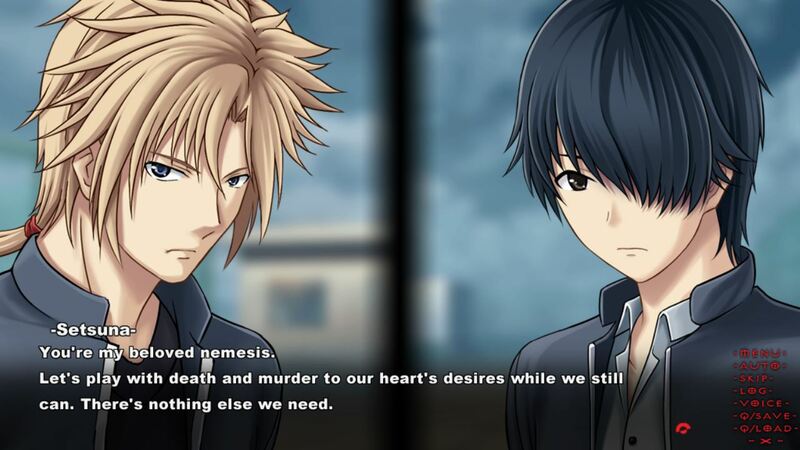 Though aforementioned problems mostly stemmed from Raziel and Lilith’s route, just from those two alone, I would have been disappointed, but it’s safe to say I got everything I ever wanted out of Tokyo Babel from Sorami’s route. Hers was like Raziel’s route with almost the exact same plot points, but more extended, developed and more importantly, consistent. 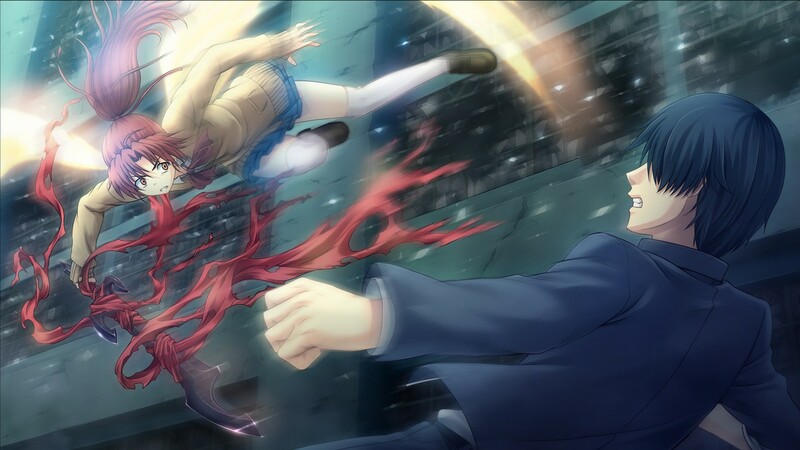 Playing all the routes, it was obvious which character they were intending to be the one true heroine from the start, in fact, it’s almost to the point that I would have prefer Tokyo Babel to be just a simple kinetic story focusing on Sorami’s story alone. Now when one think chuuni story, they would also think cool actions and fortunately, Tokyo Babel delivered on that front. My slight pet peeve, would be that the idea of raison d’etre is a little bit too conceptualized-which as a result, made some fights too “open”, almost as if anything goes. This caused some of the fights to be just a tad bit ridiculous, but still pretty cool nonetheless. I mean, boxing demon lords, missiles-launching cyborgs, what’s not to like? But one thing I like is that since the fights weighed heavily on raison d’etre-reason for one’s own existence, characters fighting with each other sometimes clash so well to the point of poetic justice. Tokyo Babel is extremely good at setting up foils-especially with the clashing dynamics between characters. Setsuna’s interactions with Adam is more romantic than 2/3rd of the heroines. Speaking of characters, I have mixed feelings about it’s characterizing approach. Again, it’s problem with inconsistency also ruins their characters too. 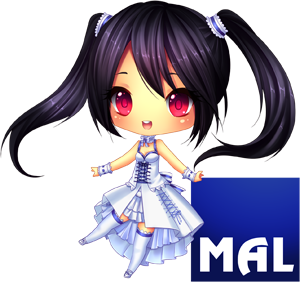 The visual novel made an attempt to provide depth to some characters, periodically shifting your perspective to the other heroines, but even then some of the characters’ motives seem flaky at best. But some segments of the visual novel did an excellent job in characterizing too, though said “segments” are mostly in Sorami’s route. Setsuna’s character development is also decent, but once again, I feel his character was best humanized in Sorami’s route. I don’t know, I guess something about two human characters (their romance are also developed consistently too, for one!) in an otherwise, settings filled with supernatural beings just seem that much more captivating. Judging from the visuals, you get the sense that Tokyo Babel is definitely from the modern era. I mean, one of the the reason why I was itching to play it so much when it was still untranslated was mainly because of the visuals, they just look so good. They have quite a few features like panning, zooming and slight animations you would expect from a modern-era visual novel, and definitely enhanced the storytelling as a result too. Those aside, Tokyo Babel just quite simply has pretty good designs. Characters have distinctive designs, it has a myriad of detailed backgrounds, even the designs on weapons and monsters are exceedingly top-notch. Music however, falls a bit short in comparison. Music in fiction is always used to bolster the mood and emotions of a scene, and while Tokyo Babel definitely accomplished that with flying colors, none of the songs are particularly noteworthy. At times, it’s soundtracks also feel a bit repetitive since despite it’s length, it actually doesn’t has a lot of tracks. In short, Tokyo Babel’s music is good because it does it’s job fairly well, nothing more, nothing less. As for some other technical stuffs, one thing I like is that it also has a menu which gives information on the lore once you finished the story-here you can see how beliefs from the real world effects the story actually taking place within the visual novel. Tokyo Babel is a visual novel where my experience was slightly soured with the other more lackluster routes, but my faith restored with Sorami’s. 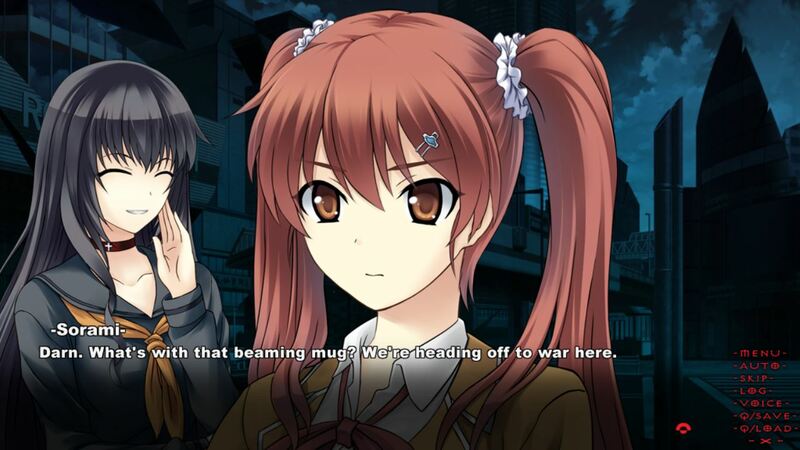 Nonetheless, it’s still a visual novel where some suspension of disbelief is definitely required, but if you don’t mind that, Tokyo Babel is actually a fairly entertaining visual novel despite my complains. It’s also a visual novel where it clearly shows just how important “consistency” is in storytelling, as you can see from the obvious gap in quality between Sorami and the other routes. 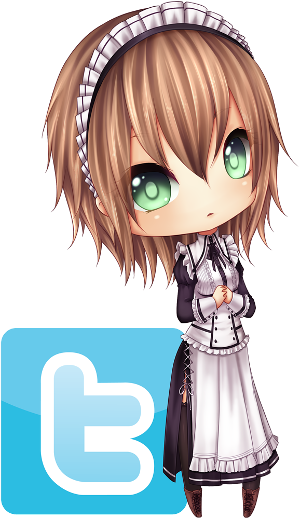 To encapsulate my entire post, Sorami is Best Girl. Chuuni just isn’t my thing, it seems, and suspension of disbelief failed on the first hurdle for me >.< Aah well, like you said it's probably best if I don't pick this up again. For people that don't mind inconsistencies so much it sounds like it's an okay read at least. 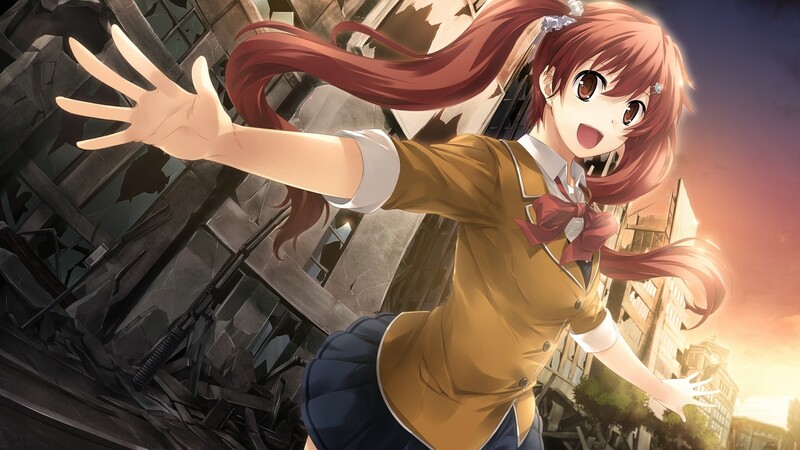 The other thing is that Tokyo Babel's art seems to be praised fairly often in reviews and I just don't see it. 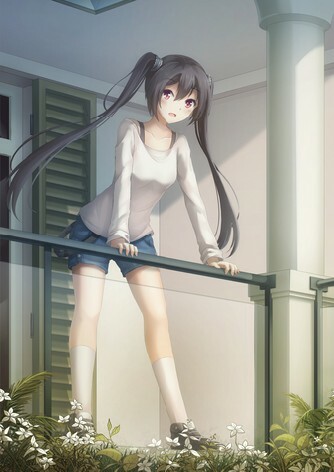 While the CGs have some decent moments the character sprites seem like a significant step back compared to other newer VNs; I was surprised they weren't any better while I was reading. 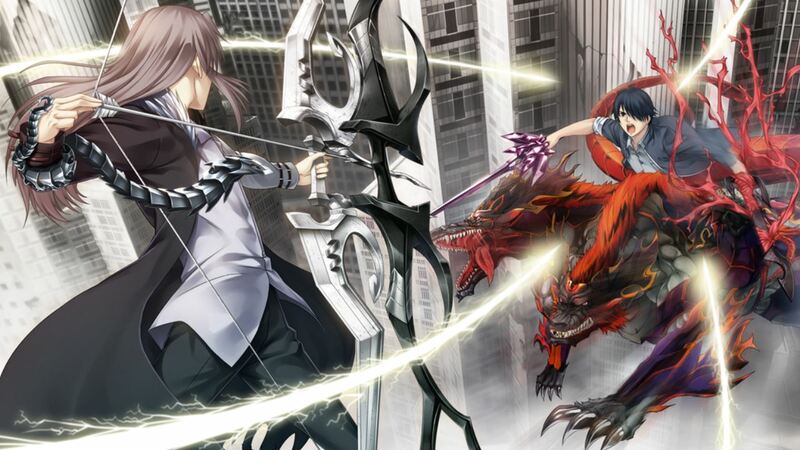 Think we talked plenty on Tokyo Babel’s action :p But as for the art, really? They are near perfect and the sprites look fine for me too. Maybe it’s because some of the character visual designs look a bit dated? After really thinking about what it is that I don’t like about the sprites i’ve come to the conclusion that it’s their faces. If you take a look at Lilith’s face in the screenshot after your first paragraph, you’ll see an example of what I mean. The designs are also somewhat dated considering the year of release. Even having said that, there’s something about them that just seems -off- to me. I guess I’ll agree with you that Sorami’s route was the best one. 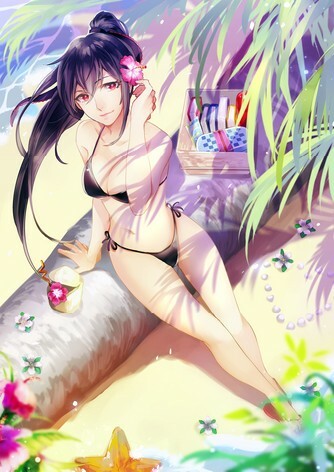 Although I disagree on the best girl claim, clearly Samael is best girl! Samael was surprisingly awesome in a route I don’t really care too much about :p Sorami is the absolute Best Girl because she pretty much saved this VN. Without Sorami (and her route), I don’t think I would have like this VN as much.